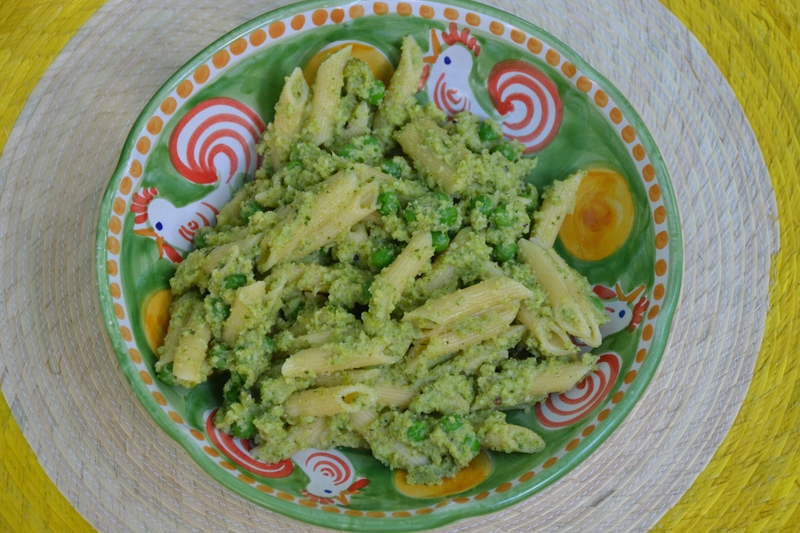 This pasta salad side dish with fresh herb pesto is a great alternative to a creamy pasta salad. 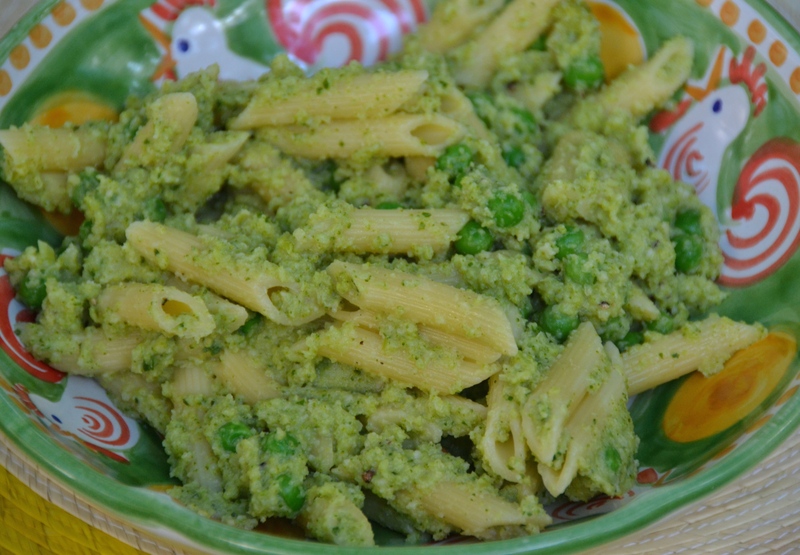 It is a lovely green color, studded with green peas and nutritionally packs a bunch with a full head of broccoli. This recipe is number twenty-two in my countdown of thirty recipes perfect to make for your cookout this July 4th. You can find all of the previous recipes here. Sally, your photography is lovely. Kathy of KathyMillerTime is impressed with your ability to capture the essence of each dish. Vietri pottery makes a difference! Thank you, I love my Vietri! 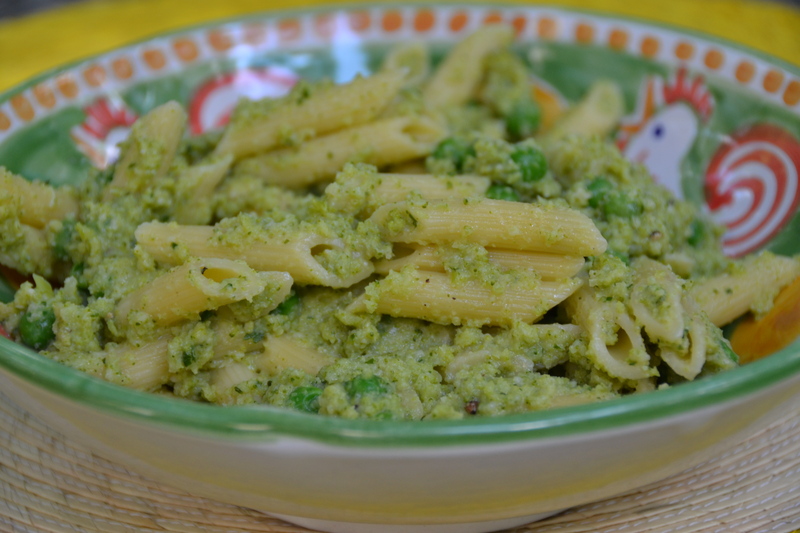 and Broccoli Pesto | Sally Cooks <Liked it!